A DUI in 2019 may seem overwhelming when you’re arrested, but it’s important that you know your options before moving forward. Check out the general court process for DUI cases, and get a free case evaluation for your DUI and find out which option is – best for you. This once in a lifetime option in Washington State allows you to defer prosecution of your DUI charges. Your DUI case is for all practical purposes put away for five (5) years as long as you qualify (meaning that you have a problem with alcohol/drugs or mental health issues), complete the two year treatment program, stay out of trouble, and comply with all DUI conditions. This is where your attorney, after reviewing all the evidence (police reports, etc.) 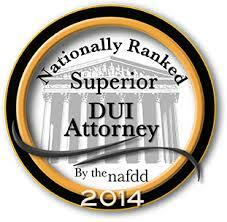 and fully investigating your DUI case, comes to an agreement with the Prosecutor on reducing your DUI charges. Most often, this happens at the DUI pre-trial hearing, but can happen any time in the proceedings, even right before the trial itself. The plea bargain (or dismissal) may also be obtained by the suppression of critical evidence at pre-trial motions. Therefore, it is important your DUI attorney is aggressive in contesting all the evidence against you at the pre-trial motions hearing. Although at first you may be tempted to go this direction, you must keep in mind that the ramifications of a DUI conviction are long term and severe, and should not be entered into lightly. The DUI mandatory minimums provide the sentencing Judge with very little flexibility. 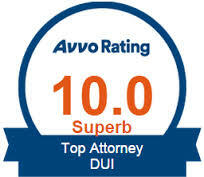 It is always best to obtain experienced DUI counsel before entering any plea. If the Prosecutor is not willing to reduce the DUI charges, the evidence against you in your case is weak, or you feel you are completely innocent, sometimes it is simply better to go to trial and take your chances. A Jury Trial is usually the best option if you do decide to proceed this way, as six of your peers decide your guilt or innocence unanimously. In a bench trial, the Judge alone is in charge of deciding your guilt or innocence in your DUI case. Either way, it is up to the government to prove your guilt of the DUI charges brought up against you beyond a reasonable doubt.